If there’s anything better than a pun (and few things are) it’s commitment to a pun. Seeing it all the way through. Sparing no detail expense. This is why Deadmau5 is a master punner. Deadmau5's commitment to good vehicular punnage hasn’t escaped EmotionalFriend, either. Deadmau5 is nothing if not thorough. 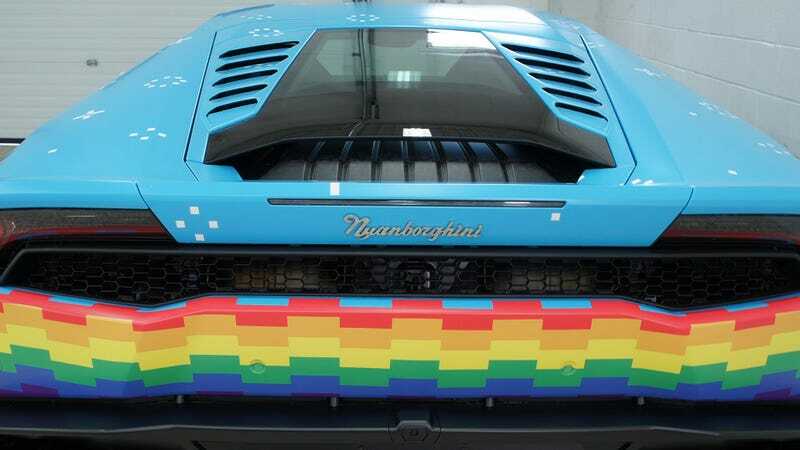 The Nyanborghini Purracan is, by the way, for sale. Please don’t let this art go to waste, people.